The faraway space snowman visited by NASA last month has a surprisingly flat — not round — behind. New photos from the New Horizons spacecraft offer a new perspective on the small cosmic body 4 billion miles (6.4 billion kilometers) away. The two-lobed object, nicknamed Ultima Thule, is actually flatter on the backside than originally thought, according to scientists. Pictures released late last week — taken shortly after closest approach on New Year’s Day — provide an outline of the side not illuminated by the sun. 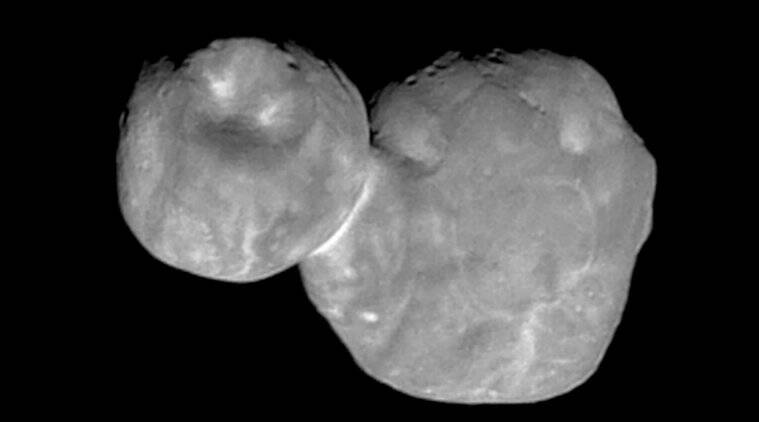 When viewed from the front, Ultima Thule still resembles a two-ball snowman. But from the side , the snowman looks squashed, sort of like a lemon and pie stuck together, end to end. New Horizons is already 32 million miles (52 million kilometers) beyond Ultima Thule. It will take another 1 ½ years to beam back all the flyby data. The spacecraft rocketed from Florida in 2006.